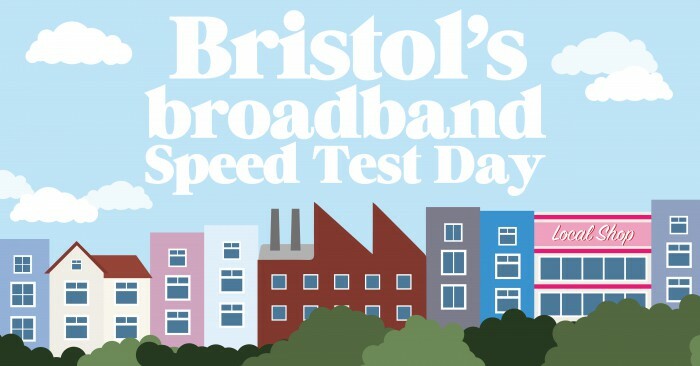 Take the Bristol broadband speed test and pass it on! You’ll be helping Bristol’s broadband infrastructure by improving the available data and mapping of Bristol’s broadband speeds. We’ll use this to bid for UK Gov funding and attract investment from telecoms companies to improve choice and availability of newer ultra fast / full fibre services for Bristol’s residents and businesses. Also – could you or your business benefit from ultra fast speeds? Following the speed test, you can also choose to take part in a business or residents’ survey asking you a little more about your current broadband service and gauging your interest in ultra fast broadband. Respondents to the survey will be invited to events and hear about any future incentives to go faster with your broadband. Ultra fast broadband offers download speeds of 300Mbit/s + and can transform home and business use of the internet. Connectivity is key to Bristol’s future prosperity. Thanks for taking part.